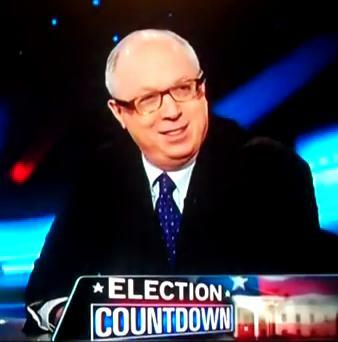 Doug Schoen - Deal With the Devil? What remains astonishing about this group is how little coverage it is getting, despite its nationwide effort to get on the ballot in all fifty states. It’s run by close associates of George Soros, and anybody who doesn’t see the Soros signature of mischief in this hasn’t been paying attention. One of the most disturbing things about the group has been the fact that it legally changed its form in order to avoid disclosure laws that would have given people a better sense of who is funding them. Frankly, I have no interest in any group that won’t tell me where their money originates. Be wary when you see this group, and if you hear friends talking about it, you might wish to caution them as well. There’s something rotten here, and it’s beginning to stink mightily. I don’t know how seriously to take this, but there are certain facts that seem unavoidable. FrontPage Magazine is carrying a story alleging that Ron Paul may effectively have permitted himself to become a tool for George Soros’ agenda. 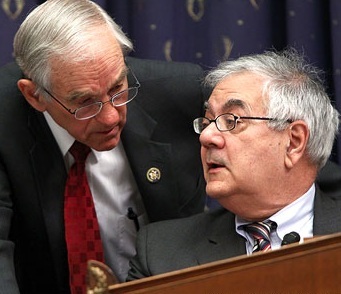 This all goes back to a July 2010 effort in which Ron Paul and Barney Frank jointly rolled out their Sustainable Defense Task Force. This plan promised to cut more than $1 trillion in defense spending, scrapping carriers, and all sorts of current assets in our combined defense. The panel was stacked with Soros-affiliated members, 9 of 14 members having direct links. That Ron Paul actually took part in this, lending his name to this “bi-partisan effort” should tell you a bit about how he’s willing to lend his name to certain causes, but the troubling part is that he doesn’t seem to have noticed, or didn’t care that the panel was rigged with members of Soros-funded groups. This wasn’t Paul’s only joint effort with Barney Frank, teaming up with the disgraced(and now retiring) Massachusetts Congressman in an effort to legalize pot. Whatever else you may think of Ron Paul, I doubt he’s the sort that would knowingly lend himself to what many would consider a treasonous effort to reduce the United States’ defense capabilities, if he knew that was in fact what he had been doing. The problem is that on the matters of foreign policy, Dr. Paul has seemed incredibly naive, and his fervor for reducing defense expenditures may occasionally lead him onto very shaky ground in the alliances he forges in the political realm. I will not go as far as Daniel Greenfield in concluding that he might be knowingly involved in what clearly seems to be a Soros plot, but even if he didn’t know, didn’t he have a responsibility to find out? In this sense, it’s one of the troubling aspects of Dr. Paul’s career that he will occasionally forge alliances in pursuit of an end without consideration of the character or motives of those with whom he is forging those alliances. As the article points out, a Soros-funded organization, AAEI(Americans Against Escalation in Iraq) ran an ad in the last election cycle praising Ron Paul. That Paul didn’t disclaim association with that group doesn’t speak well of him. By now, somebody who’s been in Washington DC as long as Dr. Paul should be able to recognize a set-up of this sort fairly readily, and the fact that he lent his name to the effort is troubling, because he either did so without knowing it was a set-up, or because he didn’t care. 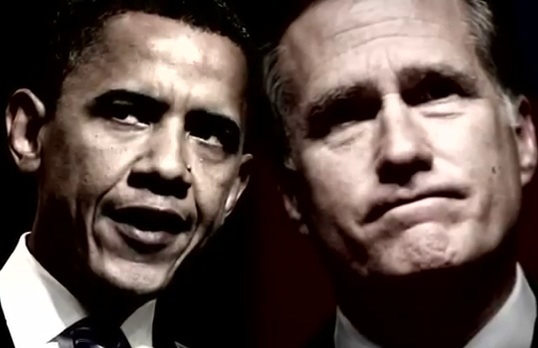 Either way, it’s one more reason Ron Paul probably shouldn’t be considered as presidential material: We can’t afford a president who will lend his name to efforts that are effectively Soros-driven operations to undermine the defensive posture of the United States. Note: Page 2 of the linked article by Daniel Greenfield at FrontPageMag.com contains some of the more damning allegations. Questions For Occupiers: Do You Believe Michael Moore? I have a hard time understanding how anybody believes Michael Moore. After sitting through three of his documentaries, including Bowling for Columbine, Fahrenheit 9/11, and Capitalism: A Love Story, I don’t know why anybody really takes him very seriously. His pushing of real conspiracy theories over 9/11 really do challenge all credulity, and I say this knowing not all my readers will agree. 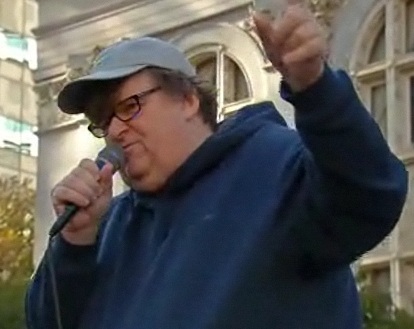 Nevertheless, Moore appeared in Oakland to rally the Occupy crowd on Friday. According to reports from the scene, the Moore was mobbed. For me, this raises two questions of some importance: Did none of them notice Moore is part of the one percent they claim to oppose? 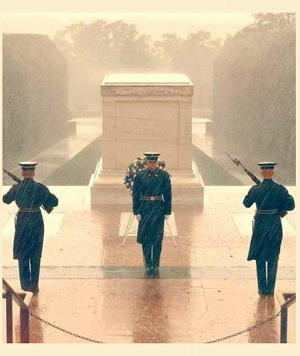 If they believe Michael Moore, is there any point in talking to the Occupiers? My answers to both questions may surprise you, but then again, perhaps not. I doubt that the Occupiers really have any sense of what constitutes the “one percenters” they claim are the problem, but more importantly, I think they conveniently issue a political pass to those among the so-called one percent willing to kiss their feet and claim solidarity with them. It’s a basic symptom of an ideological self-contradiction that permits them to ignore this dichotomy between their stated complaints and their acceptance of radical leftists who happen also to be rich. Roseanne Barr? Rich, yes, but on their side? You bet. Susan Sarandon? Oh yes, mightily rich, but they don’t seem to want to eat her. Michael Moore? Well, he’s “down for the cause” or whichever trendy saying they’re using these days. 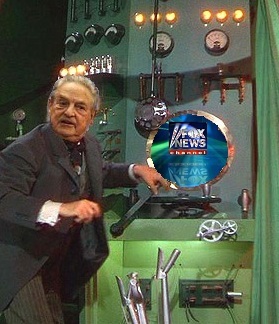 George Soros? Ah, well, now you see, they feel some unease about Mr. Soros, which is probably the reason why despite funding almost all of the organizations involved in this Marxist Mosh-Pit, he has stayed well away. The Occupiers really don’t like having to explain away their Soros connections, their Tides Foundation connections, their Adbuster affiliations, or anything else to do with Mr. Soros. This may be too big a contradiction even for them to talk out of existence, so instead, they simply ignore it and claim they have nothing whatever to do with Soros. Since these people believe in Michael Moore, I suspect that for those of the type to do so, there isn’t much point in talking. Frankly, it’s my conclusion that Moore’s dishonesty is perhaps best exhibited in Bowling for Columbine. This anti-gun, anti-right screed is nothing short of ludicrous in its proposals and in its reporting. When a person can tell you they support the man who produced such a piece of “work,” you know almost reflexively that you’re not going to be able to reason with them in any meaningful way. The way in which Chuck Heston was treated and portrayed by dishonest editing is one of the greatest bits of personal assassination ever committed to film, never mind submitted to the world as a “documentary.” If you’ve not seen these ridiculous propaganda pieces, I’d urge you to do so if for no other reason than opposition research. 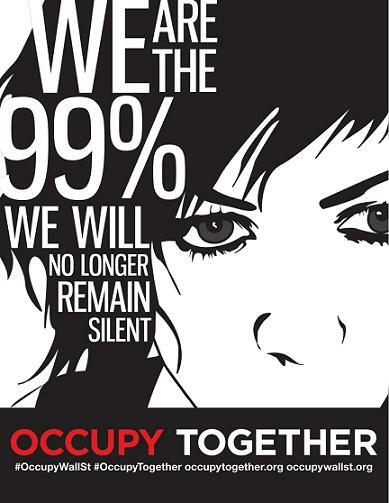 Debunking them should provide you an opportunity to learn just who some of the members of Occupy really are, and what they are prone to believe. It’s small wonder that they could be led to believe that all their problems lay at the feet of big business and Wall Street, but most particularly, those evil bankers. Simplistic arguments of that sort always appeal to those who are most easily conned by the Michael Moores of the world. It’s simple: You create some bogeyman, assign them all the blame, find some mechanism by which to throttle them, and call it a day. Nice, simple, and without effort, particularly intellectual, but nevertheless wrong. I can’t help but feel a little sympathy for them as they come along with all their excuses for believing Michael Moore while hating Peter Schiff. It’s an astonishing demonstration of who they are, what they believe, and whether it is even fruitful to hold a discussion with them. The answer is firmly “no.” When you ask them: “How is it that you have occupied a private park for nearly two months,” their answer is likely to be something absurd and naive. None of them at the so-called “organic” level can tell you, and they’re not generally curious enough to care. That should be your first clue.